Chris Atkins — Alliance Group, Ltd.
Chris Atkins comes to Alliance Group with experience in fundraising, campaigns, and nonprofit management. Chris studied Agricultural Sciences at Virginia Tech and went to work in political campaigns for the last three election cycles. 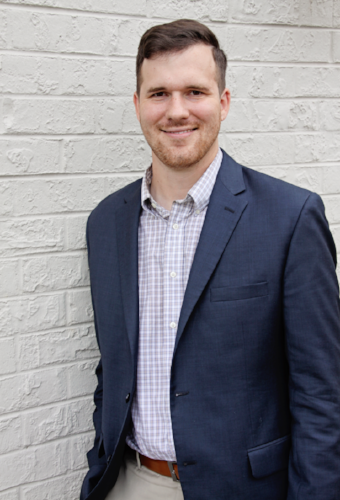 Chris is passionate about helping organizations grow into their full potential and ensuring that the best interests of a group are always represented. Before moving to Richmond, Chris was involved in his local Special Olympics and many agricultural organizations. Since moving to Richmond, Chris has continued to be involved with the Special Olympics of Virginia and now volunteers with Ronald McDonald House Charities of Richmond. 2. Spent over a month in China studying agriculture. 3. Successfully chose every Super Bowl winner between 1999-2017.